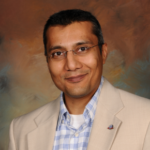 Bhavesh Bhagat, CGEIT, CISM (LION) is Co-Founder of Confident Governance and Chairman at EnCrisp LLC. Confident Governance is GEW 50 Award winning Social Cloud Governance company delivering the assurance of safe and sustainable governance-as-a-service® for enterprises of all sizes. EnCrisp is an INC 5000 privately held global leader in enterprise solutions for Governance Risk and Compliance. As a successful serial entrepreneur who has navigated his startups to INC 500 level, he blends international experiences as an entrepreneur, software innovation and growth marketing strategies and P&L management in bootstrapped environments as a financial executive. He brings strategic execution and insight as a seasoned technology executive, professional international speaker and published author. A globally recognized visionary on Risk Philosophy, Emerging Technologies and Entrepreneurship. He is one of the founding members of NextGenAngels an entrepreneur friendly new generation of Angel Investors in Washington, DC. He serves as the Chairman and Founder of the angel investment firm Arneva guiding early stage ventures interested in tapping into encompassing corporate, environmental, green technology and social governance. He is also the Founding Chairman of the Board at Cloud Security Alliance Washington DC. He is a globally recognized visionary on CyberSecurity, Risk Management and Governance subjects and their impact on business and social issues surrounding emerging technologies. He has been awarded and recognized by the Commonwealth of Virginia for his Entrepreneurship leadership as a CIT GAP 50 Award finalist. He served appointments as a member of the Board of Directors for the ISACA National Capital Area Chapter and the Board of Advisors to The Commonwealth of Virginia JCOTS. He is featured in INC magazine, IndUS Business Journal, and in ISACA and other media publications. He has been recognized as a TiE-Smith Fellow in Entrepreneurship for his successful bootstrapped ventures. Independent Board Mentor and Advisory to the next generation of security startup founders at Mach37, a vertical accelerator focused on information security product companies. Twice a year, Mach37 invests in a class of 6-10 security startups, each of which participates in an intensive entrepreneurial program of coaching and validation of their products and markets, culminating in a Demo Day presentation to investors. Confident Governance® is the Enterprise Cloud Governance ™ Company. As we explain it to our Grandparents we bring the “Sunshine of Trust to the Cloud.” Governance, Security, Risk and Ethical Compliance Collaboration applications that you access over the Internet and pay-as-you-go. Using our applications on our Governance as a Service™ platform you can infuse transparency and trust amongst your executives and stakeholders without technical complexity and without having to worry about buying hardware and software. Find out why more than 87,200 companies have chosen our platform of choice Force.com to help run their business. EnCrisp® is a privately held INC 500 company. EnCrisp technologies and solutions drive confidence in execution of Corporate Governance Risk and Compliance Sustainability life-cycles. EnCrisp delivers solutions on emerging Cloud based technologies as well as legacy ERP technologies such as SAP and Oracle with proven “business‐driven” approach to improving IT life-cycle efficiencies, regulatory governance, environmental sustainability, security architecture design and compliance audit risk – Every day – Globally – Guaranteed! Managing financial and real estate investment platform to grow capital globally. NextGen Angels is angel investing club of more than 50 Washington, DC-area angels who are 40 or younger. The group’s motto is: “Striving to be the most entrepreneur-friendly angel investors in the world.” By always keeping the entrepreneur top of mind, we aim to benefit the companies we work with, help build the DC area startup ecosystem, become an investment partner of choice for top entrepreneurs, and make the process enjoyable for everyone. NextGen Angels members all agree to actively support portfolio companies— defined as startups with ten or more members investing—whether or not that member personally invested in the company. In particular, that means putting our networks at the disposal of the entrepreneurs we back. Member of Board in the ASUG Maryland/DC chapter in focusing on effective and well managed usage of Enterprise IT platforms from SAP. Founding Board Member at the CSA DC chapter. CSA’s Federal Cloud Computing Security Center of Excellence. Managed and directed activities of one of the top three largest ISACA Chapters globally in Washington, DC. Assisted by speaking as Keynote as a professional speaker and helping in day to day Board and organization activities. Product line P&L, Software Engineering, Architecture and Go-to-Market for continuous monitoring cyber-security and governance solution centered around SAP and ERP. Establishing global operations in Asia and USA and managing Product design and Marketing as well as Revenue goals. Developed new business and expanded client opportunities in the field of Technology and Risk Management with Financial and Audit risk as a point of focus. Established ground work for exploring expansion opportunities into the India market for reinsurance in the property and faculty risk business.